Conventional gauges of value make China’s stocks tempting, particularly amid signs growth may be picking back up. But even if the economic rebound lasts, stocks haven’t been great proxies for corporate growth. Even China bulls should be ursine on the country’s equities. China’s stocks have plunged over the past year, leaving the 140 companies on MSCI’s index of China stocks trading at just 9 times projected earnings for 2013. That’s historically low for China and lower than stocks in Brazil, Germany, the United Kingdom or even deflation-wracked Japan. Yet China is aiming for 7.5 percent GDP growth this year and the International Monetary Fund forecasts growth next year at 8.2 percent. Signs of a rebound – such as this month’s recovery in HSBC’s China purchasing managers index into expansionary territory – have prompted foreign investors to pile back into China stocks. Leave aside the debate over why China’s economy is rebounding. That might be a reaction to massive government pump-priming that has worsened overinvestment and promoted reckless credit expansion. The real flaw in buying stocks on hopes of a rebound is that China’s stock markets have long ceased to serve as a way of tapping into its economic growth. In the past decade, as the economy grew at roughly 10 percent a year, Shanghai’s benchmark index has returned a mere 3.4 percent on average. There are several reasons why. Who can buy stocks is limited – foreigners have only partial access. 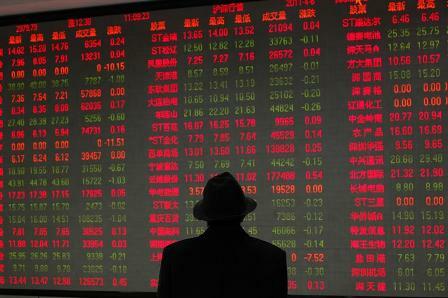 Corporate governance and insider trading are bigger concerns, though China’s regulators are trying to help. But the stock market’s contribution to China’s new incremental funding – which it calls “total social financing” – has remained stuck around 2 percent for the past decade. Bonds have climbed from 1 percent to roughly 15 percent. There are other reasons why it might make sense to buy China stocks: dividends could rise if regulators force the 59 listed, state-owned enterprises to disgorge their $167 billion in cash. And opening the market further to foreign investors would tap pent-up demand that could push up prices of the biggest, most liquid stocks. But until the market shakes its image as a casino where vested interests always win, investors would be wrong to mistake China’s low valuations for a bargain. China’s benchmark stock index, the Shanghai Composite, fell 1.3 percent on Nov. 27 to close at 1991.17, its lowest level since January 2009. Data from fund-flow tracker EPFR Global shows inflows into China equity funds neared $4 billion over the 10 weeks to mid-November, and accounted for more than half of the flows in Asia ex-Japan funds in the week to Nov. 15. Bank of America Merrill Lynch’s global survey of fund managers, covering 248 managers with $695 billion of assets under management, found confidence in China’s economy was at a three-year high in November.